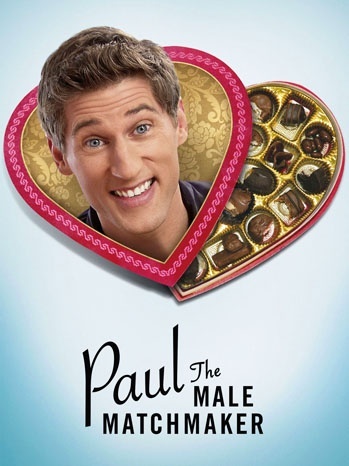 If you enjoy reality dating shows, comedies that are meant to make you laugh but feel a little uncomfortable, and have a short attention span like I do, Paul The Male Matchmaker will be right up your alley. As a member of the WB Word of Mouth Marketing team, I was told about a new show on Hulu called Paul The Male Matchmaker. Okay, I thought, it's a show about a male matchmaker...should be interesting. I opened up Hulu and watched the first episode...and was hooked. First and foremost, this show has a few of the key things that I love to watch. First, it's funny in that "oh my gosh, what just happened?" kind of way. It makes you laugh but feel kind of guilty about it, kind of like watching The Office or other shows of that genre. You laugh but you're also thinking, "Did they really just do that?" Secondly, the show has elements that are scarily similar (in a good way) to what we see on dating reality shows. If you watched Why Am I Still Single? or Tough Love on VH1 or The Millionaire Matchmaker on Bravo, you know what I'm talking about. The people on those shows sometimes had to complete tasks that seemed completely insane. Paul The Male Matchmaker does the same, but with an added dose of humor tied in...and the comfort of the fact that the people on the show are actors, not real people that might have to explain their actions to a future employer one day. Third, the show comes in short, bite-sized episodes. My attention span makes it really difficult for me to stay focused, and this show, with each episode clocking in at just over five minutes, is perfect for me. It's straight to the point, packs a mean punch and then it's over. There's no fluff - it's all good stuff. After watching episodes of Paul The Male Matchmaker on Hulu, one episode really stuck out to me. In this episode (number 3 of the series), Jillian visits Paul so she can jump back into the dating scene. Jillian, played by Lisa Edelstein, is instructed to practice dating with an inflatable dummy. Instead of walking out feeling appalled, Jillian really starts liking the dummy. Like, a lot. I'm not going to give away what happens, but I highly recommend that you give that episode a try. Paul The Male Matchmaker is sure to make you think about the bad dating experiences you've had in your life, or at least think about the creepy guys you've known. When it comes to creepy guys, I've met my share. There was the guy who was a summer camp counselor with me, and one day out of nowhere was like, "Want to make out behind the shed?" Um, I don't even know who you are, so thank you but no thank you. And then there's the guy who started writing my friend's name with his last name on his notebook...in high school. And they'd only been dating a week. That didn't last long. Oh, and the time that my friend tried to set me up with a guy that was so boring that it was actually painful to sit with him. So, if you have any interest in reliving your own creepy guy or dating memories (and admit it, they're funny! ), watch Paul in action for a few minutes and you'll start laughing at both him and your life experiences. I highly recommend that you give this show a try. Watch the first episode (embedded below) and then click here to watch the rest of the series.